Is there any styling feature on today's motorcycles that provokes a more diverse range of reactions than the "beak?" What is this frontal protrusion and why do we have so many forms of it showing up on so many bikes? Does it serve any purpose or is it just a styling exercise? In the beginning, adventure-tourers didn't have beaks. BMW photo. 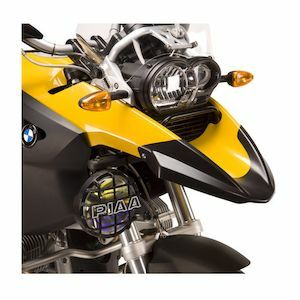 In the past, off-road motorcycles, or dual-sport motorcycles that wanted to be taken seriously when the pavement ended, had big, high-mounted front mudguards. Those with low fenders were scoffed at by serious dirt riders, who loved warning us tenderfoots that mud would pack up that low front fender and lock up the front wheel. Even if it happened rarely, they loved warning us about it frequently. When the first adventure-touring bikes emerged, like the BMW R 80 G/S, they still had both the heavy, street-going engine and the high, off-road mudguard. Of course that mudguard was less than aerodynamic when zooming down the highway at speed. The BMW R 1200 GS is the adventure-tourer standard-bearer and, as such, has a serious beak. Why? I'm not sure. Doesn't the low mudguard do the job? Still, for a modern adventure-touring bike, a beak seems obligatory. BMW photo. 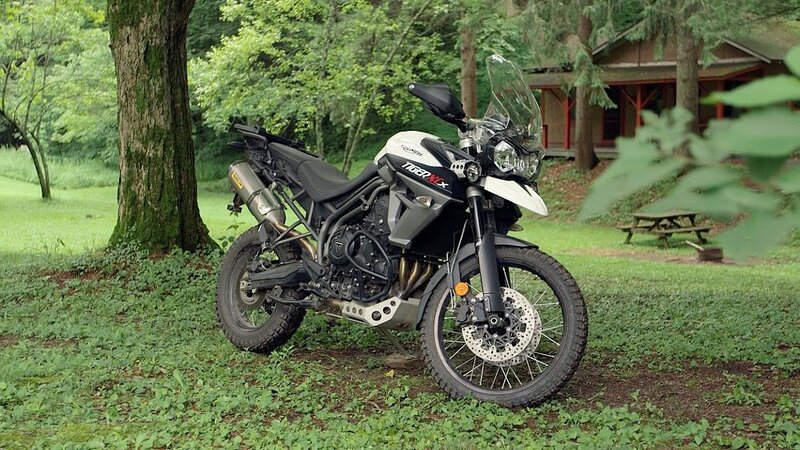 The Triumph Tiger 800 XCx has a modest beak, sort of like a chickadee's. RevZilla photo. Some beaks are brawny, some are more demure. The aftermarket stepped in, for riders who might be feeling insecure about their beaks, and offered beak extensions. Somewhere along the way, beaks became a nearly universal styling feature in the adventure world. Why? My "research" consisted of asking Common Tread adventure rider at-large Bill Dragoo, who has by far the most impressive adventure-riding resume among anyone who will return my calls. Bill says that based on the amount of crud he has to clean off the underside of his R 1200 GS's beak, he thinks it does have practical benefits. Plus, he added, he likes the way it looks. Not everyone agrees. As beaks became ubiquitous, jokes followed. The yellow version of the BMW R 1150 GS, with its bulbous tank and prominent beak, was inevitably likened to Big Bird. Is your V-Strom doing an imitation of Woody Woodpecker or is it just happy to see you? 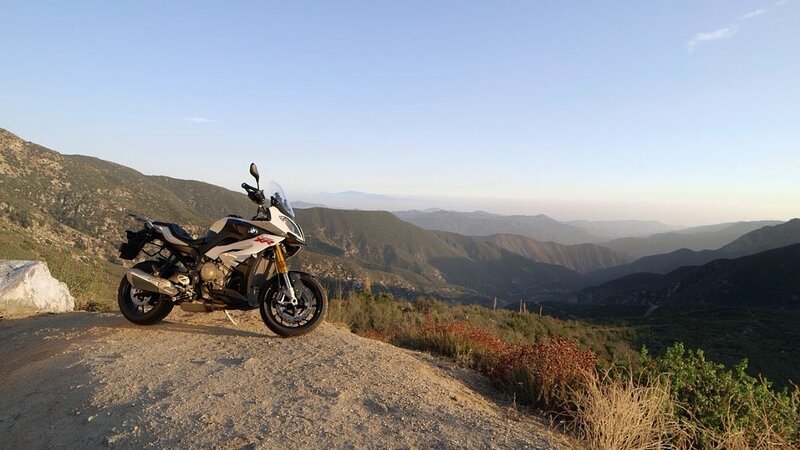 The BMW S 1000 XR does not have the off-road ambitions of its adventurous siblings, but it still has a vestigial beak, kind of like the way flightless kiwis (the birds, not New Zealanders) still have wings. BMW photo. Then, manufacturers started making sport-touring bikes that mimicked some of the style and the stature of adventure-touring bikes, but with thoroughly street-oriented hardware, starting with their 17-inch sport-touring tires. And this, I think, is the real question. Why does a motorcycle like the BMW S 1000 XR have a vestigial beak? What really has me thinking about all this is the new Super Duke GT that KTM plans to release as a 2017 model. It’s an interesting new take on sport-touring, with that outrageous engine coupled with a little more fairing and a set of panniers. Fast, sophisticated and, no doubt, expensive. And then there’s that face, which has people of a certain generation making Spy vs. Spy references. Is this a new step in the evolution of the beak? Or just a particularly pointy and KTM-like headlight nacelle? Is this a new evolution of the beak on the forthcoming KTM Super Duke GT? KTM photo. Not that anyone asked, but I just can’t get enthused about beaks. One of the things I liked, in the looks department, about the Kawasaki Versys 1000 LT I recently rode is that Kawasaki went for a straight street bike look, without a beak. Now, I’m asking. What do you think of the beak? Specifically, what about that robotic horse face on the KTM? What sayest thou? To beak? Or not to beak?